The count of the catch reveals all is not well. They are one nose short! Spine tingling original theatre that is hilariously dark and frighteningly absurd. 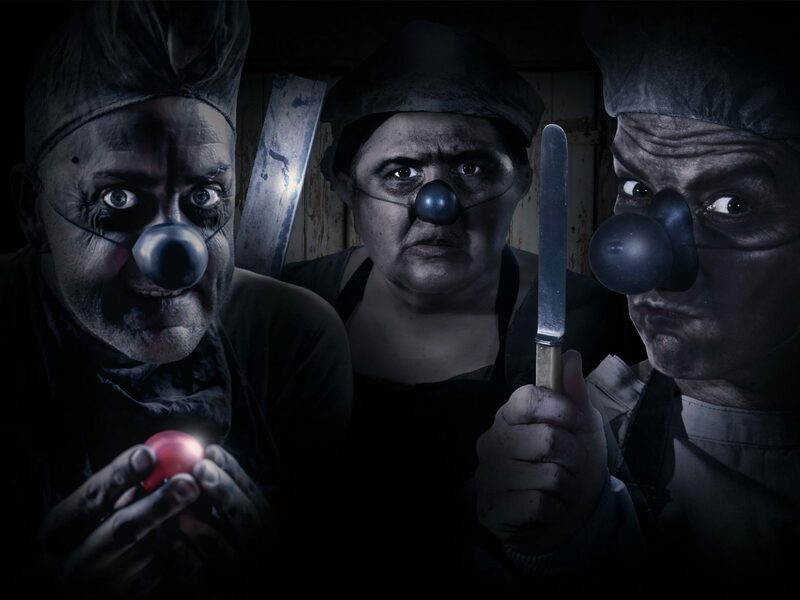 Join this underground clown cult audiences have been raving about. The Long Pigs is genuinely funny. It invests in classic comic forms, extensive classic training in theatre and ultimately it’s as much Three Stooges as it is Jean Genet. The Long Pigs has opened the box of clown from the wrong end. It’s definitely no children’s party. Presented by WE3, Cluster Arts, and Live at Tandanya.